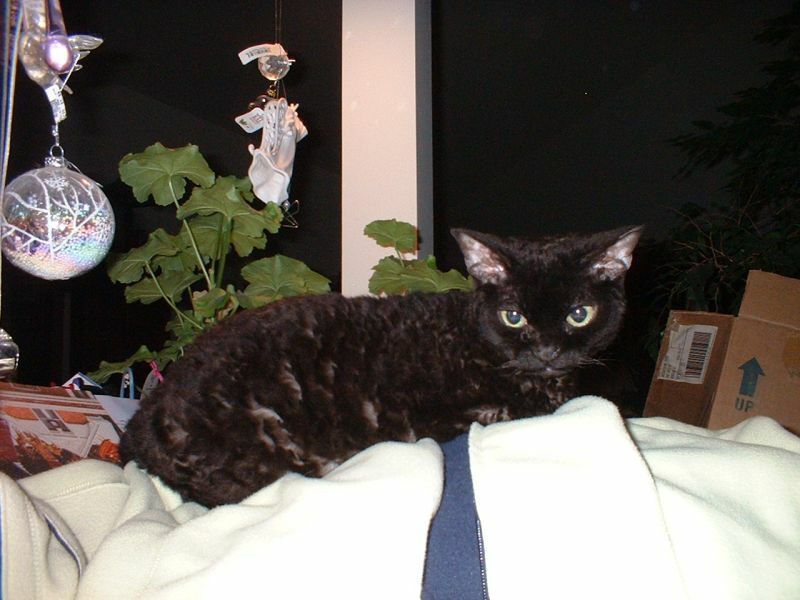 Back in August, Jet Dragon, a beautiful black Devon Rex was a Black Cat Friday honoree. Sadly, Jet went to the Bridge a few days ago. When Laura told me, Ollie and I decided we wanted to do a little something to honor his memory, so I'm reposting his photos from August along with a new one of Jet snuggling with Venus. Laura also sent in a write-up, so that is included, too. My heart goes out to Laura, who lost two her two Devon babies this year. I've lost two dachshunds within a matter of months, and I know just how horribly hard it is to deal with. 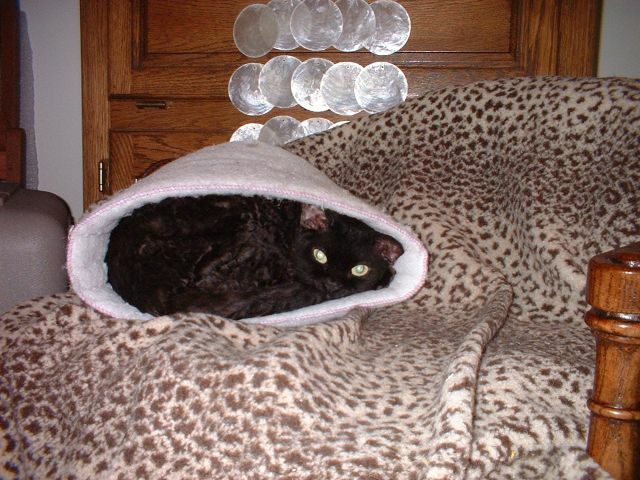 My beautiful, loving Devon Rex baby boy is gone. Jet came to me as a kitten in December 2000. I'll never forget meeting those big green eyes looking out of the carrier. It was love at first sight for both of us. Rambunctious and playful, he never lost his youthful spirit. He loved playing with mice and lattice bell balls, which I would throw and he would fetch back. A big talker, he would always give me his opinion about whatever was going on. 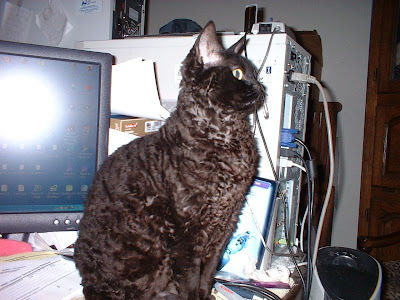 Jet was always ready with a purr, a multi-toned rumble that I loved to hear as he went to sleep against my chest at night. He met this last brief illness with typical confidence that mom could make it better. Sadly, though everything possible was done, his little body didn't have the strength left to fight multiple problems. I don't think he ever really recovered from losing Venus, his life long Devon buddy in February this year. I will always love you, Jet. He had been diagnosed with CRF in February, but was doing very well at his checkup and blood panel a month ago. We had been battling a resistant URI for months. 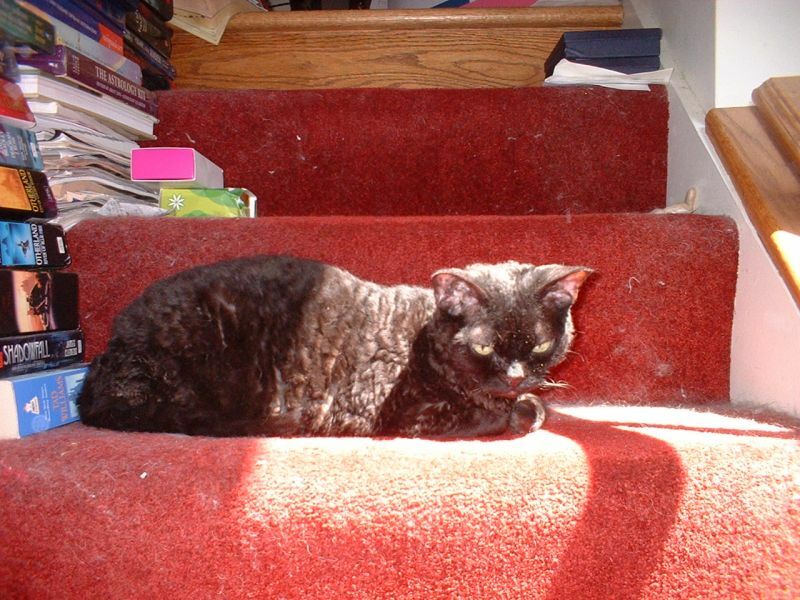 Due to his sudden and inexplicable illness, the vet later determined that undiagnosed hypertrophic cardiomyopathy was what caused his death. He became ill on December 1 and died late on the 3rd. I'm thankful that he didn't suffer long. 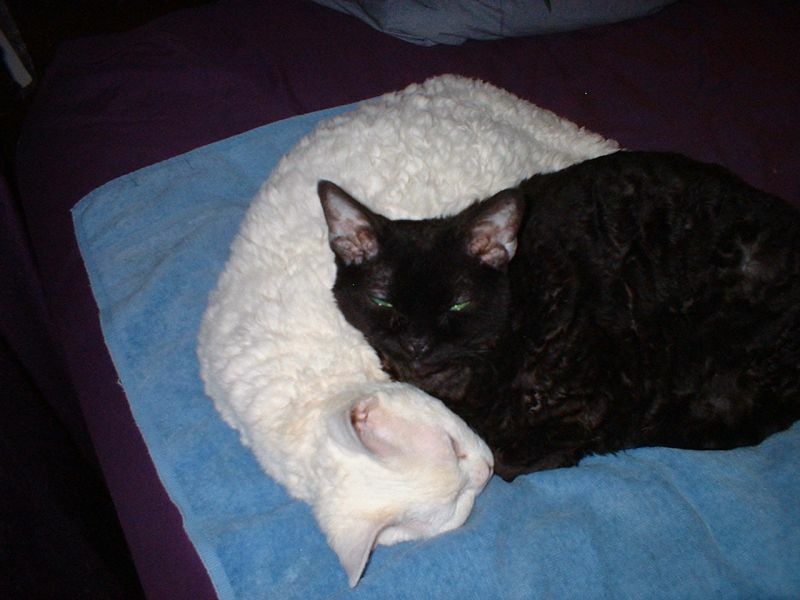 He is now with his friend, Venus, at Rainbow Bridge. They are happy, healthy, and snuggling once again, now and forever. My heart goes out to Laura. It helps to know he is back with Venus, but letting go is never easy. We are sending lots of purrs and headbutts. I am so sorry for your lost. He was such a lovely and handsome boy. He and Venus are together againand one day the 3 of you will be together again. Rest in peace beautiful angel you mum is missing you so much. Thank you for your kind words and sympathy. My heart is still breaking; everything reminds me of Jet. So sorry for the loss of your 2 dachshunds, Donna. I had a red, shorthair named Doc as a child and loved him very much.